As you begin to spruce up your home for spring, the Florida Department of Health recommends several important health related tips you should consider to ensure a healthier, happier home this year. 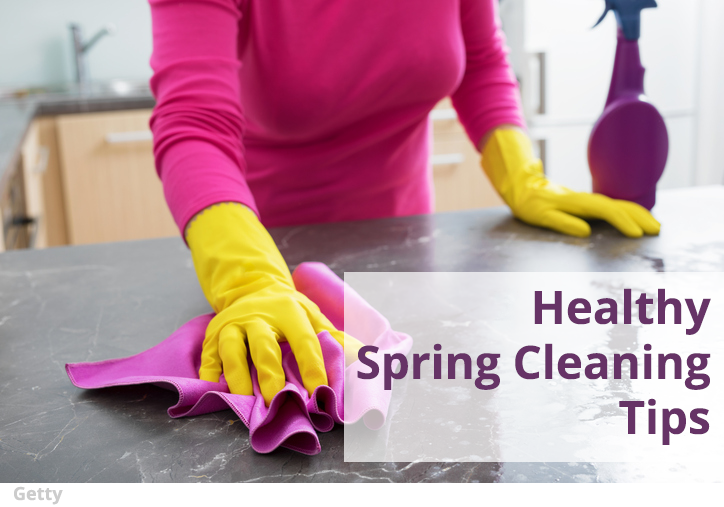 Kick your spring cleaning into high gear - Thoroughly dust your home and clean or replace air conditioning and heating filters; clean all ducts and vents to decrease your exposure to pollens and other airborne allergens. Organize your medicine cabinet - Discarding expired medications and old prescription medications no longer in use. Your pharmacist can advise you about the best way to dispose of old medications. Make hygiene in the kitchen a priority – Clean kitchens can reduce your risk of foodborne diseases. Wash your hands before cooking and after cooking. Keep preparation surfaces clean and use separate cutting boards and cutlery for raw meats and vegetables to avoid cross – contamination. Check in on needed home repairs - Fix plumbing leaks or (hidden) water damage as quickly as you can to prevent mold from growing. You may also want to inspect outdoor playground equipment and be sure that it remains sturdy and in good repair. Pay particular attention to guardrails, protruding bolts and other potential sources of injury. Test your home for radon - You can’t see it. You can’t smell it. You can’t taste it. Radon, a Class A carcinogen, is the second leading cause of lung cancer. Radon is responsible for more than 21,000 lung cancer deaths a year (one every 25 minutes). In Florida, one in five homes tested has elevated radon levels. Learn how to test your home today at Radon.FloridaHealth.gov. Take a walk! This may not be spring cleaning related, but you may not have been able to take a walk a lot this winter. It doesn’t have to be high-intensity or a workout. Just do it for the fresh air and sunshine. For more health news, tips and resources, follow the department on Facebook, Instagram and Twitter at @HealthyFla.